NASH Next Top 10 Finalist BRECKEN MILES Impacts Radio With New Single, "Liar Out Of Me"
Impacts Radio With New Single, "Liar Out Of Me"
Nashville, TN (October 5, 2018) - Singer/songwriter Brecken Miles heads in to the NASH Next national finale with his new single, "Liar Out Of Me," impacting Country radio. A Top 10 finalist in the fourth annual competition, Miles will be judged by a panel of celebrities that includes Big Machine Label Group's Scott Borchetta and entertainer Kix Brooks. The finale takes place on October 11 at Nashville's famed Wildhorse Saloon. Borchetta notes, "I'm always on the hunt for top-notch talent, and this program provides an incredible opportunity to have our eyes and ears on the ground in all of the great Cumulus country radio markets. If you want to be Next, it's game on." "I love this record," notes newcomer Miles. "I think it's a song that will have meaning for a lot of folks. And, I'm really pumped to be one of the finalists in this huge competition. That in itself is a big accomplishment, and I'm gonna rock the house." 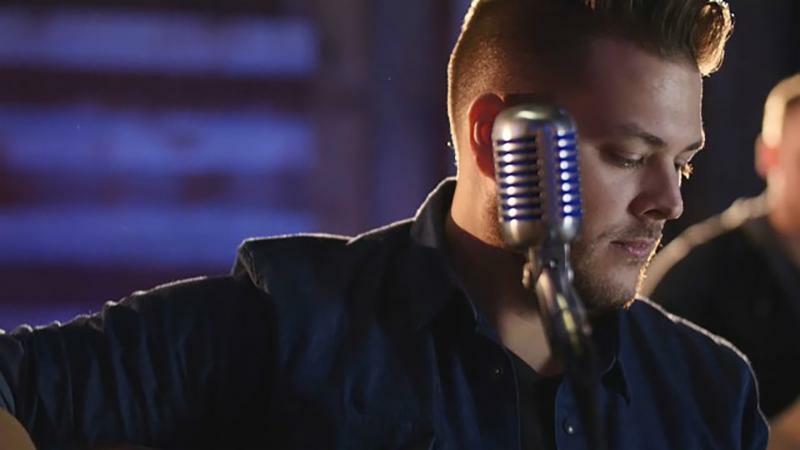 Singer/songwriter Brecken Miles has shared the stage with Luke Bryan, Brad Paisley, Luke Combs, Cam, Blake Shelton, Phil Vassar, Big & Rich, Justin Moore, and others. His far-reaching musical influences range from Garth Brooks to Johnny Cash, and includes James Taylor. He's performed in venues ranging from the gigantic Summerfest (Lake Michigan), Wisconsin State Fair, Allstate Arena (Chicago, IL), Country Thunder (Twin Lakes, WI), and FM 106.1 New Faces Class of 2018 at Pottawatomie Casino to the intimate, world-class Bluebird Café. Music runs in the family: his father is a musician, and Miles followed that tradition, picking up his first guitar at the age of 10. He was raised in the small town of Colgate, Wisconsin where The Eagles, James Taylor, Springsteen, and AC/DC ruled the household airwaves. Brecken fell in love with Country music at a Kenny Chesney concert (2003) and never looked back. In 2008, he became the front man/lead singer and rhythm guitarist for the popular Milwaukee-based band Bella Cain, performing over 200 shows a year until leaving the group in 2014. He has since gone solo, made Nashville his second home, signed an exclusive publishing deal with Rhyme Partners Music Publishing and released two Top 50 MusicRow chart singles, "The Anchor" and "I'm Good With That." Brecken is a devoted spokesperson for Generations Against Bullying, a Milwaukee-based charity for which he wrote "God Loves," the organization's theme song. The fourth annual NASH Next competition brings aspiring artists, a major record label (Big Machine Label Group) and the power of Country radio (Cumulus Media) together to launch a new star. The winner of the four-month competition receives a record deal with Big Machine and substantial radio exposure on Cumulus radio stations nationwide. The current competition, which launched July 9, has allowed fans in local markets to rate entrants' talents and to select their finalist based upon video performances of original songs. Industry professionals then narrowed the field, choosing the Top 10 competitors for the upcoming national finale event set for Thursday, October 11 at Nashville's Wildhorse Saloon. A panel of celebrity judges, including BMLG's Scott Borchetta and Kix Brooks of Brooks & Dunn, will determine and announce the winner.